The Life Cycle of a Frog begins amid a clutch of floating eggs. Those that survive; hatch as tadpoles, and then undergo a rapid change as they lose their gills and grow legs. Life in the water is grand, but these amphibians will soon take to land, becoming adult frogs after 12 to 16 weeks. Size and Color: Maybe it is easy being green! These lifelike, soft figures show the shifting shades of a frog, complete with he 6cm-long adult. Scientists have observed that frogs have been breeding earlier due to climate change. 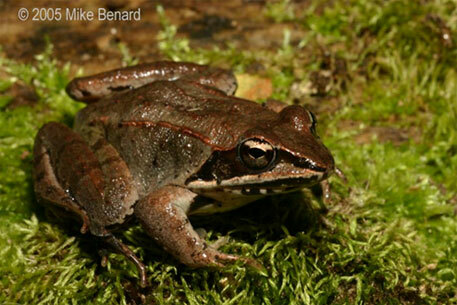 A study, conducted by Michael F Benard, assistant professor of biology at Case Western Reserve University in the US, examined important life events of more than 50,000 wood frogs. The results showed that as climate change makes winters warmer, frogs breed earlier and lay fewer eggs. The study was done over a period of seven years, by the end of which the winter weather records of those years were compared. The study was published in Global Change Biology on September 29. It was also observed that breeding early not only reduced the number of their offspring but also adversely affected their development. Benard found that for every degree Celsius increase in average daily maximum winter temperature, the frogs bred 4.2 days earlier. The number of eggs per clutch collected in the ponds decreased 3.3 per cent, or 24 eggs. The number of eggs per clutch collected from frogs that had been marked and placed in buckets of water to breed decreased 4.3 per cent, or 31 eggs. “The decrease in eggs per clutch is likely due to increased energy consumption by females during warmer winters,” Benard explained in a release.